YPJ fighters, the female equivalent of the Kurd’s People’s Protection Units, have moved to the most forward positions in the battle to seize Raqqa. Kurdish men and women are celebrating their victory, riding around on armored vehicles in al-Naim Square. 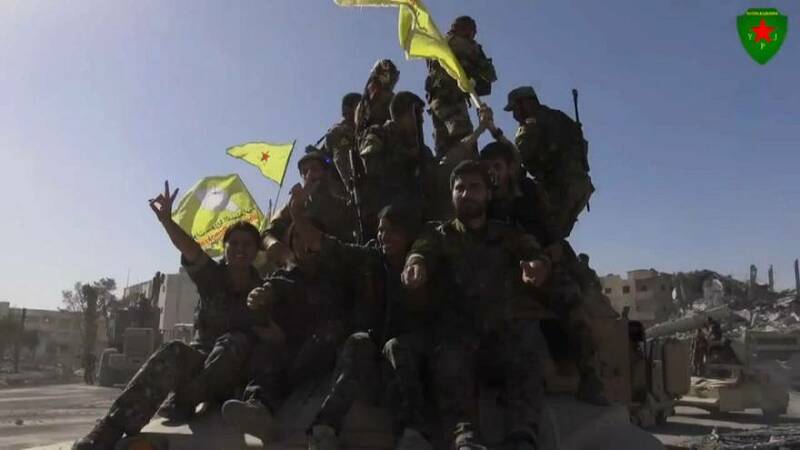 “Last night the al-Naim square was liberated, and today the stadium is fully liberated from the terrorists, and we will raise the flag of YPG, and shortly Raqqa will be declared liberated,” said one fighter. Dozens of militants who refused to surrender made their last stand earlier in the stadium, which had become notorious as an ISIL prison and dungeon complex after the Islamic militants outlawed sports. The US-backed SDF forces planted a flag at the centre of the pitch. Although clashes in Raqqa have ended, a spokesman for the US-led anti-IS coalition said pockets of the militants still remained there.